There has been a lot of press about how hard it is for veterans to transition from military service to the civilian workforce. 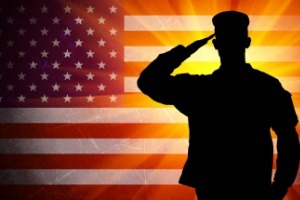 At our company, we go out of our way to attract top talent from the military and hire veterans. That is our duty to those who provide services to our great nation. Our Boots To Badges program is designed to put veterans to work. The program works by assessing the strengths of each veteran and their overall career goals then pairs them with a set of jobs where they can advance and continue their education. The training that the military gives to its’ personnel is extensive. We continue that training through programs that allow our staff to learn about technology, security philosophies and training that is essential to security personnel. Hiring a veteran is the least we can do to repay them for their service. Are you a veteran and interested in applying for a job as a security officer for Sacramento Elite Patrol? Please fill out our online form.